Read the new about the Devil's Kitchen! 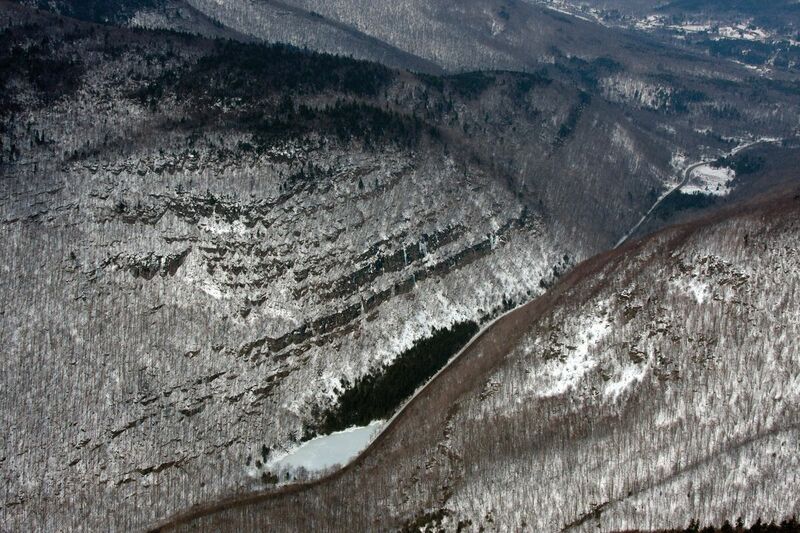 The Catskills are an incredible ice climbing destination located approximately 100 miles north of New York City. They boast over six distinct areas, providing over 25 different crags offering approximately 300 climbs! The Catskills offer ice climbing mostly in Greene County, inside the Catskill Park. Plus there is more ice in in the Shawangunks). Designated in 1904, the Catskill Park will be celebrating its 110th birthday this January and located within the park's "blue line" is the Catskill Forest Preserve - state owned land comprised of almost 290,000 acres. This state land contains over 98 peaks over 3000', and it provides an ample supply of outdoor activities from hiking, hunting, fishing, camping, canoeing, skiing, snowmobiling, and of course, ice climbing! Come out and explore this winter.